Special Promotions - The Legendary Candle Co. Newest in our special promotions is an amazing BOGO! 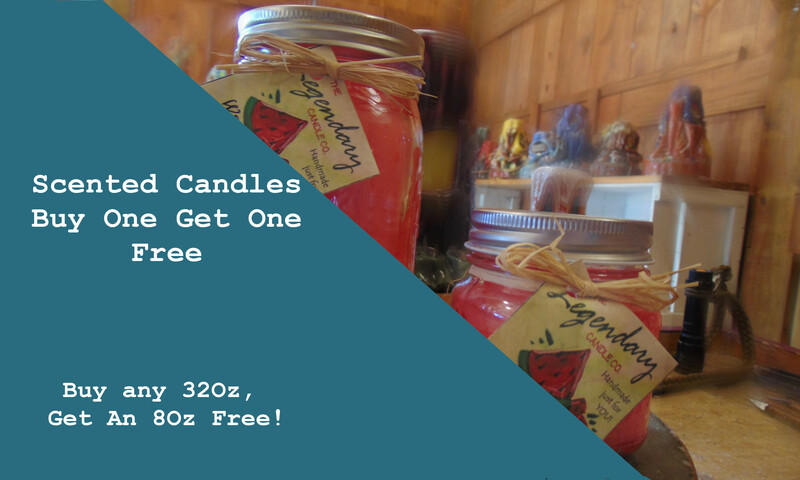 Buy any 32Oz scented candle and get any 8 Oz for free. Just add a 32 and an 8 to your cart and the discount will be automatically applied. 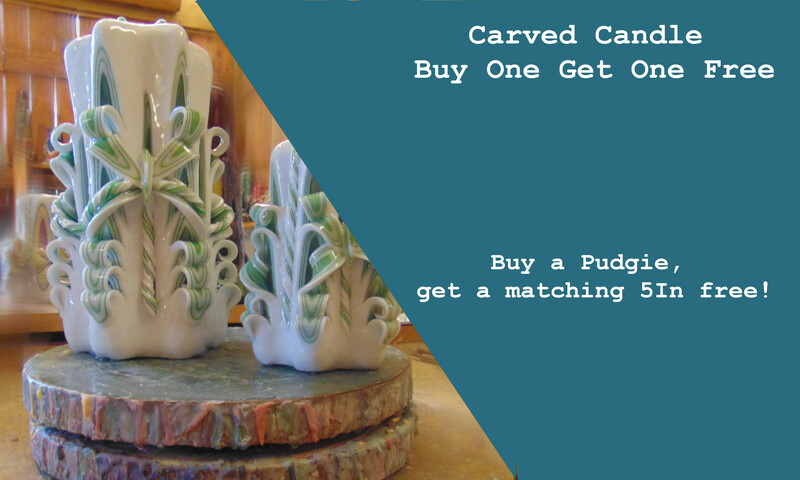 Or if you want pretty rather than smelly, Add any Pudgie carved candle to your cart and we will send you a matching 5in carved candle for free. Just add the Pudgie and we will make sure you get your free matching 5 when it arrives! Thats right, our new Special Offer is that you Buy One Get One for FREE!!! !